Craig Forsyth, from Irvine, brought Sir Tom Jones to tears with his performance. 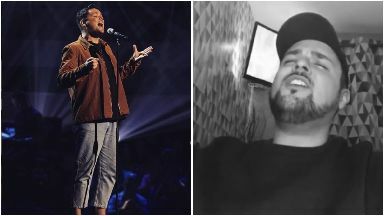 A Scottish nursing assistant who practised with his patients brought Sir Tom Jones to tears with an emotional performance on last night's episode of The Voice. Singing his version of The Impossible Dream, 28-year-old Craig Forsyth received a standing ovation from the audience. Before his performance, the Irvine-born star spoke about his job and his experience of working as a nurse. "My main aim is to try and prevent people having to go into hospital. "I love my job, it's really busy and sometimes it can be quite urgent." "I definitely think my nerves have held me back in the past" Mr Forsyth added. "I've always been so scared of what people will think about my voice. But I'm 28, so if I don't do it now, I'll never do it". After his performance, judge Jennifer Hudson pressed her buzzer, sending Mr Forsyth into the next round of the competition. Chatting with the judges, the star revealed he had been practising for his performance by singing to his patients. "They all know me as the singer" he said. "Singing to them can really lift their spirits". 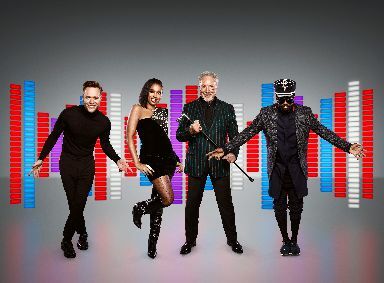 The Voice UK, which is currently in it's eighth series, features returning coaches Olly Murs, Jennifer Hudson, Will.i.am and Sir Tom Jones. For the fourth week in a row, STV's The Voice UK won the battle of the ratings, beating the BBC's new show The Greatest Dancer by over one million viewers. The new dance programme, which aired on BBC One at 7.30pm, drew an average audience of 3.3m whilst The Voice was watched by an average audience of 4.9m with a peak of 5.5m making it the most-watched programme of the night. The BBC show launched earlier in January and features Cheryl, Oti Mabuse and Matthew Morrison as dance captains.